Blend together Greek yogurt, banana and frozen mixed berries. Pour into bowl and set aside. Add fruits to the top of the smoothie bowl. Add some local, organic honey for an added boost of sweetness. 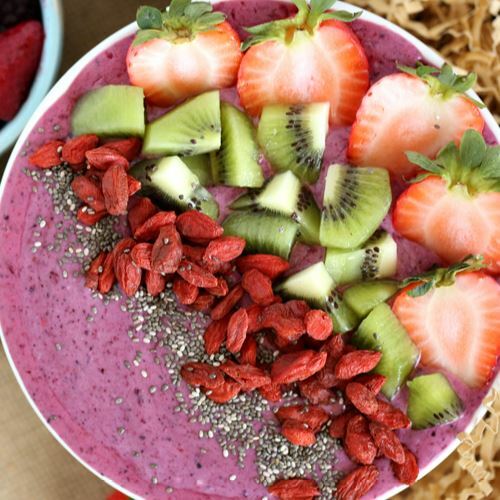 This delicious smoothie bowl is packed full of flavor and healthy goodness!